Known as BetEasy up until 2015, BetEasy has quickly established itself as one of Australia’s premier online bookmakers. The partnership between James Packer and Matthew Tripp, the former Sportsbet CEO, has resulted in a top-shelf Internet betting operation which offers generous promotions, outstanding customer service and great odds across an ever-expanding range of local and international sports markets. Also, unlike many of its competitors, BetEasy.com.au is 100 per cent Australian owned and operated. Few desktop betting interfaces are as easy on the eye as BetEasy’s. The new owners have retained elements of the old BetEasy model while introducing fresh, user-friendly features and infusing the layout with the signature purply Crown Resorts colour scheme. Nothing looks cluttered or over-busy and everything is easy to find. The centre of the homepage shows live trackers for ongoing race meets and upcoming sports events. The menu bar across the top provides quick links to dedicated sections for sports betting, racing markets, loyalty rewards, promotional offers and customer support. The left-side menu bar gives you one-click access to all markets for each available sport and racing category, while the section above features shortcuts to major events and popular markets. BetEasy’s virtual betting slip, located towards the top-right of screen, works much like any other. Once you find the market(s) you wish to wager on, click or tap the odds to add them to the slip. You can then set your stake by filling in the ‘Amount’ section. If you select more than one market, you also have the option to combine them into a multi bet. If you wish to change a wager, click on the little cross next to the market you want to remove. You can also hit ‘Clear Slip’ to delete all selections. When you are ready to finalise your choices, press the ‘Place Bets’ button to confirm. Like all leading online bookmakers, BetEasy.com affords its customers the freedom to bet anywhere and anytime on smartphone and tablet devices. Purpose-built betting apps give punters full access to every BetEasy market via slick and reliable touch interfaces, while all the key features of the desktop site – the cashier, the promotions, the help desk – are accounted for. There are two dedicated apps available: one for iOS products and one for Android. Apple users can download the iPad and iPhone betting application from the App Store for free, while those running open-source software can get the Android app directly from www.BetEasy.com. BetEasy also runs a mobile betting website for those who prefer to use their device’s Web browser. This is a fully secure HTML5-based site which boasts the same essential features as the Android and iOS apps, but with the added bonus of being compatible with BlackBerry software and other alternative mobile operating systems. The best bookies support only the safest, swiftest and most secure transaction methods. BetEasy accepts instant deposits via MasterCard, Visa, POLi and PayPal, all of which allow you to send funds straight into your betting account with no waiting times. Other available options, such as BPay and bank transfer, can take up to two business days to process. Customers who hold an account with any Australian bank, credit union or building society can make fast withdrawals via Electronic Funds Transfer (EFT), with requests made before 3:00pm from Monday to Friday usually completed within 24 hours. Telegraphic transfers are also available for payments to overseas bank accounts. 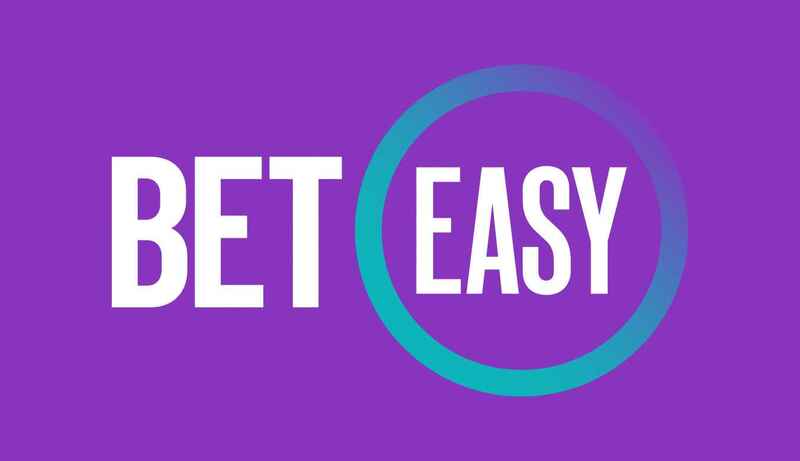 As an official betting partner of both the AFL and Racing Victoria, BetEasy is a giant when it comes to local sports and racing. One would expect nothing less from a company which is fully owned and operated in Australia, by Australians. Nevertheless, CB is equally dedicated to bringing punters the best odds from all over the world. Whether it’s sport, racing, entertainment, or even political elections, BetEasy offers great prices and diverse markets on thousands of international events every day. BetEasy Australia is licensed and regulated by the Northern Territory Government, which only approves digital sportsbooks and racebooks that meet strict industry standards for customer security and honest operation. No online betting company can fulfil such requirements without a fully certified SSL (Secure Socket Layer) digital encryption, which protects all financial transactions and ensures every member’s privacy. Recognised as Australia’s fastest growing online bookmaker, BetEasy continues to draw in the crowds. In early 2014 Matthew Tripp, the former owner of the Sportsbet brand stepped in and bought the bookmakers assets and completed an intensive re-branding process that put this punting site back in the spotlight. Famed for being 100% Australian owned BetEasy is licensed in the Northern Territory by the Northern Territory Government and regulated by the N.T Racing Commission, making it a legal entity for all Australians wanting to bet online. Marketed at Australians specifically, this online bookmaker only offers AUD accounts and the site is only available in English. This elite online bookie is also an approved betting partner of NRL, AFL, Tennis Australia and Cricket Australia and has sponsored many high profile racing and sporting events in the last year. From the minute you sign up at BetEasy you’ll see why so many Australian punters love this site. Not only is the interface clean and uncluttered, it’s also easy to navigate and even new punters can make their way around. You’ll find all the information you need and you’ll always have the latest odds at your fingertips. On sign up you’ll be rewarded with a bonus and access to promotions and other special deals is always on offer to those who choose to make BetEasy their preferred bookmaker. Refer-a-friend and other incentives are also up for grabs and every customer is treated like a VIP at all times. BetEasy knows that Australians love their racing and this site caters incredibly well for all punters who enjoy harness, greyhound and other horse races both locally and in the international arena. Just about every type of racing odds are on offer and the next to jump feature is very easy to use. Sports bettors are also in for a treat with the huge selection of markets available and betting opportunities for everything from rugby, cricket, tennis and soccer to MMA, baseball and tennis are available. Golf, ice hockey and American football can also be bet on, and there’s election betting for those who enjoy wagering from a political angle and entertainment betting for those who like something a little different. Punters who watch the world’s financial markets can indulge in financial betting and there’s truly something for every taste and preference at BetEasy. As BetEasy only facilitates AUD accounts Australians will enjoy easy, hassle-free deposits that can be made via trusted and reputable payment processors. Home-grown service POLi is accepted as are major credit and debit cards and other ewallet alternatives and all deposits are processed almost instantly. Withdrawals are also rapidly processed and state-of-the-art encryption ensures your confidential details remain protected at all times. There is a strong focus on customer service at BetEasy and Australians can contact the competent and friendly customer service centre 24/7 via telephone, live chat or email. There’s also a FAQ section that answers most questions and relevant informational sources for betting and members. BetEasy can be accessed via PC, mac or mobile, making it instantly accessible for all Australians around the clock, even when they are on the move. The ample betting opportunities, heavy focus on popular betting markets and the user-friendly interface make this bookmaker a firm favourite and it’s easy to see why it attracts such a large number of customers.